I haven’t been to the earlier editions of the SPOC and I was curious to learn more about it. I caught up with Susan Daffron and James Byrd, creators and hosts of the SPOC a couple of days ago. Although they are in the final stages of preparation for the conference, they took time out to have a chat and answer some questions. The interview runs 25:58 and is full of information about SPOC and what will be happening next week. Here’s the podcast. You can listen to it right here, or download it to listen to at your convenience. 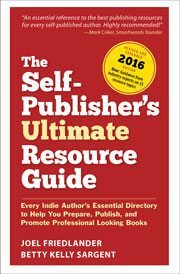 For those of you just learning about self-publishing or getting ready to publish your own books, this is going to be a unique opportunity to kick your learning up a big notch in just a couple of days. The combination of top speakers and the ability to ask questions that directly relate to your project and your publishing issues is a powerful one. I’m getting excited myself.